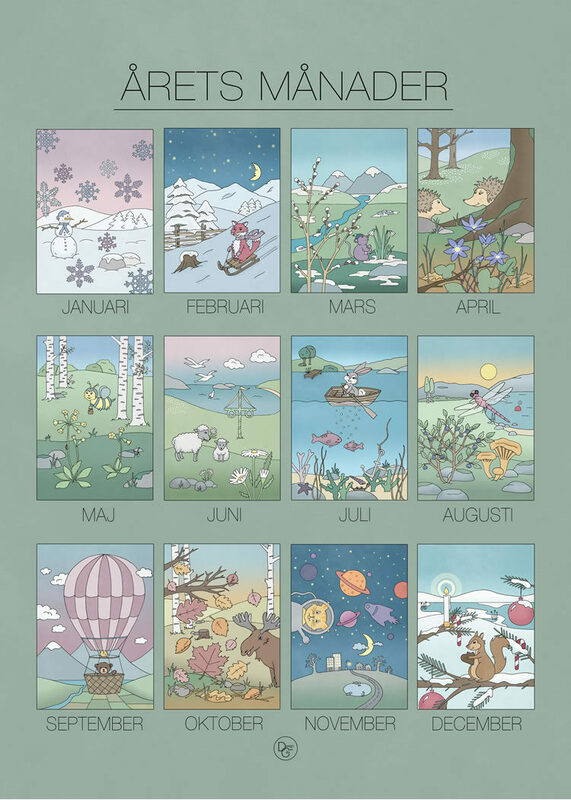 Illustrated poster with the year’s months where we can follow the shifts of the seasons. 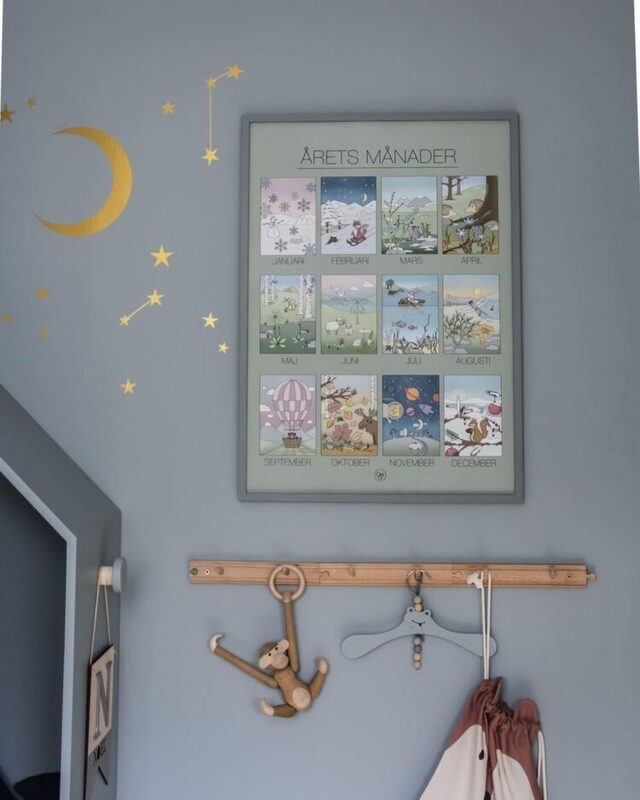 12 children’s posters in one by the super-talented designer and DIY creator Cilla Rosvall. Among the adorable little characters we find a snowman, dragonfly, moose and squirrel. A new illustration for each month. Beautiful and educational children’s print in harmonious colors – short and sweethearted. 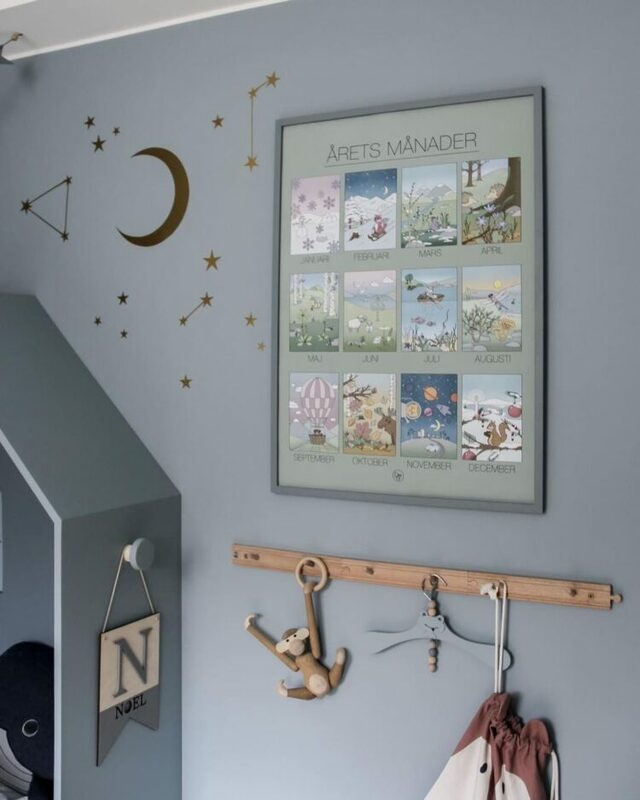 If you want to frame the poster we recommend white or natural wood for the frame.